Meggie is an amazing host who made my honeymoon truly special. We felt like we were right at home in a foreign land. The location is great and with the included amenities (private driver and 3 meals a day) you cannot beat the price. We had a wonderful stay at the two-bedroom villa. Maggie is a super nice host. She allowed us to check in early in the morning, greeted us every time we came back, prepared very delicious food for us and even lunch box on the day we checked out. Arif, our driver and guide, is always on time, drove us to all the places we wanted to go and never complained. Arif is very knowledgeable and introduced to us the history of the country and the city. We are very happy spending our days in Yogyakarta with Maggie and Arif. beautiful villa between rice fields so very quiet and clean air. Lovely cats who spare you from insects. The 24 hours driver available is wonderful. The food is so nice and the pool always clean. Wifi even more better than in my own country. The hostess was super friendly and very helpful! Also, the driver who is available for your entire stay was very friendly and showed us great places. The villa is beautiful and you do not need to worry about anything during your stay. The food is simply delicious and very abundant. 3 meals are included in the price and so is a driver who takes you anywhere you wish (laundry included too)!!!!!! And Meggie is an adorable host full of humor who makes your stay even greater, so a place I would definitely recommend to everybody. The all inclusive services with friendly host and driver. Meals were prepared at villa and even for us to take along during our car journey. Driver helped us to do translation with local vendors too. Loved that the villa is located in the middle of rice paddy fields. Very scenic and beautiful especially at dawn. So peaceful & tranquil. Also close to Jogjakarta city, Prambanan & Borobudur temples. Meggie and her staff were amazing. All of the extra effort they put in to make our stay comfortable was so appreciated! Everything was arranged including toddlers baby cot,milk ...ripe mangoes ,pineapple..Overall good all inclusive package. Owners attention is there for every small need of her guest and she is solution centric...I had left my entire Yogyakarta itinerary for her to plan. The place is situated next to beautiful paddy fields.You can hear the sounds of birds, crickets,frogs, rooster and even goats. Every Villa with comes with a private pool. The food was delicious and generous portions were given by Chef Maymay. The host Meggie is very hands on. She makes sure that we are well taken care of. Her warmth and smile will charm you. And she has adorable cats too. Lock in a great price for Rosseno Villa – rated 9.6 by recent guests! Rosseno Villa This rating is a reflection of how the property compares to the industry standard when it comes to price, facilities and services available. It's based on a self-evaluation by the property. Use this rating to help choose your stay! 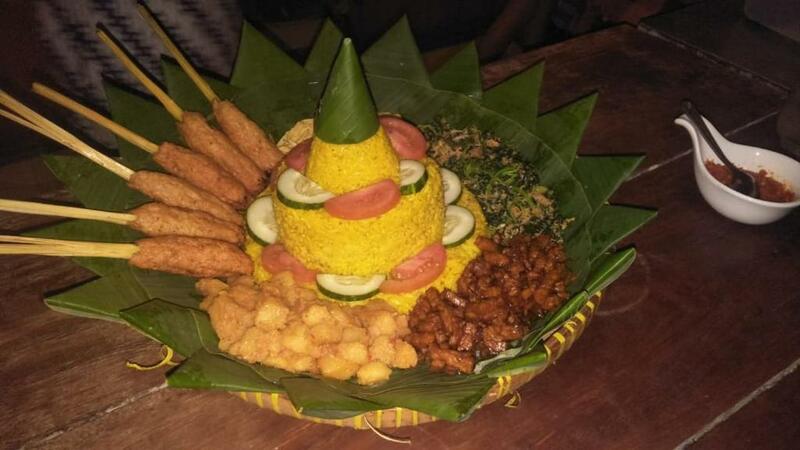 One of our top picks in Yogyakarta – and a guest favorite. Offering a private outdoor swimming pool and free all-day use of a car and driver, Rosseno Villa is located in Yogyakarta and only a 15-minute drive to the Keraton Yogyakarta Palace. The property also offers an all-inclusive breakfast, lunch and dinner, as well as free WiFi access and free on-site private parking for guests who drive. It takes a 20-minute drive from the property to Adisucipto International Airport and a 35-minute drive to Parangtritis Beach. Getting to the iconic Borobudur Temple will take around 1 hour by car. The accommodations at Rosseno Villa will provide guests with a separate living room fitted with sofa and flat-screen satellite TV, a dining area, and a fully-equipped kitchen, as well as a washing machine and ironing facilities. Each bedroom is air-conditioned and has a wardrobe. The private bathroom features hot and cold shower facility with hairdryer and free toiletries. Guests can relax in the beautiful garden or enjoy use of a laptop upon request. The staff can help guests to arrange airport shuttle service, grocery deliveries and dry cleaning requests, free of charge. When would you like to stay at Rosseno Villa? This two-bedroom house has a separate living room fitted with sofa and flat-screen satellite TV, a dining area, and a fully-equipped kitchen, as well as a washing machine and ironing facilities. Each bedroom is air-conditioned and has a wardrobe. The private bathroom features hot and cold shower facility with hairdryer and free toiletries. Guests can enjoy use of a laptop upon request. Our 3 villa's (situated in a beautiful garden with swimming pool) has one, two or 3 bedrooms, one bathroom or 2 bathrooms and a large living room with kitchen and is fully furnished with everything you need. Our formula is unique in Yogyakarta. 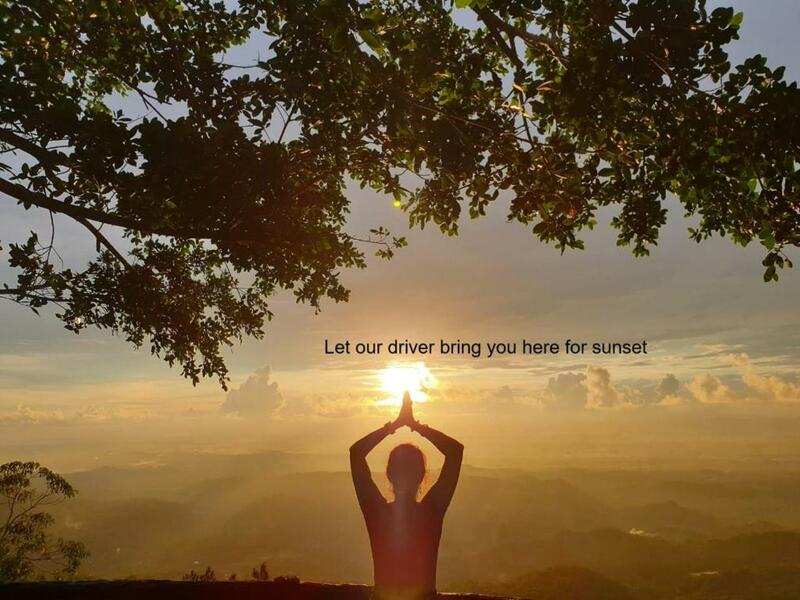 All meals are included, breakfast, lunch, dinner, snacks, softdrinks, coffee and tea and a car with private driver will be serving you all day for 24 hours. He brings you everywhere you want without extra payment. I'm Dutch and I live since 2008 in Indonesia. First a few years on Bali and since 2011 in Yogyakarta. 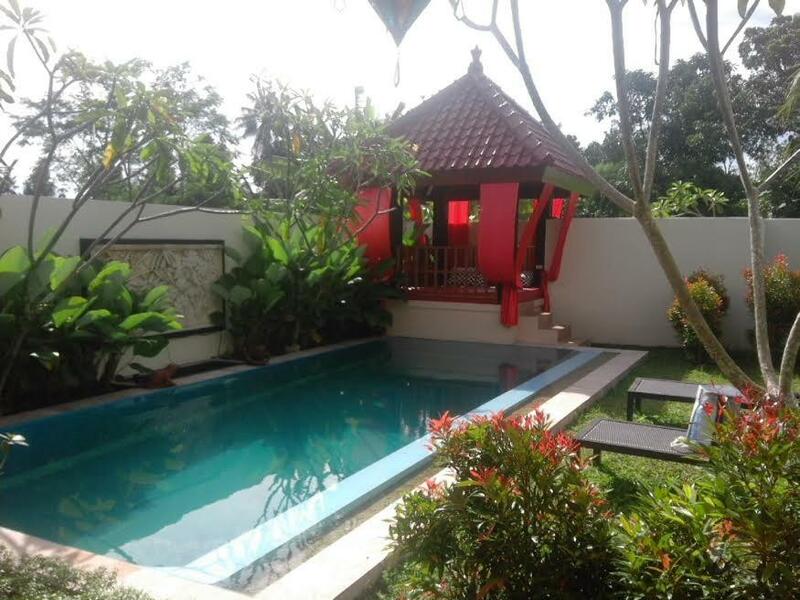 Together with my Indonesian husband Herwin I rent a beautiful 2 bedroom villa since March 2015. Since 2017 2 new villa's were build. One 'honeymoonvilla' for 2 persons and a big family villa for 6 persons. I really love animals and we have several cats ourselves, so we hardly suffer from insects. They will not bother our guests by the way. My strength is to give 100% service and ensure that guests feel fine and and comfortable as much as possible and to arrange everything for them so that only holiday needs to be celebrated and guests only need to relax. 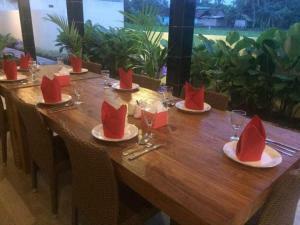 Located in a beautiful, traditional kampung between the rice fields. The real Indonesian life with friendly people instead of a touristic, noisy street. We are a few kilometers from the town center so close to everything but still in a peaceful quiet area. House Rules Rosseno Villa takes special requests – add in the next step! All children under 2 years are charged IDR 150000 per night in a crib. Rosseno Villa accepts these cards and reserves the right to temporarily hold an amount prior to arrival. Please inform Rosseno Villa of your expected arrival time in advance. You can use the Special Requests box when booking, or contact the property directly using the contact details in your confirmation. Nothing that could be influenced by the hosts. Intollerant guests , being surprised to see the cats or disliking the fact that the restaurant is occasionally filled with other guests as well. Meggie and her husband are extraordinarily friendly, careful and committed hosts. Everything, the driver service for pick up and tours, the villa, the pool the different meals was tailored to our wishes and if required to a short term change. The cats the couple are lodging are cute and clean and by no means disturbing - they are there, sleep , play, eat and sometimes dislike each other. We stayed 6 nights, slept very well and have enjoyed the all in service during this time in this very nice 3 villas comprising retreat very much. We will for sure aim to return the next year or the following. The place..the villas..the staff..the owner..Maggie everything exceed more than expectation. Some improvements suggestion: The living area in the villa is really too warm for use without an AC or an extra fan. The alfresco dining area is lovely but could do with an overhead fan too. The bathrooms are spacious and clean but need to look into the drainage as it can smell really bad ( i know it's a common problem in Indonesia). Location is a little out of the way but is in a gorgeous, tranquil setting among rice fields and it is not really a problem given the use of car and driver. 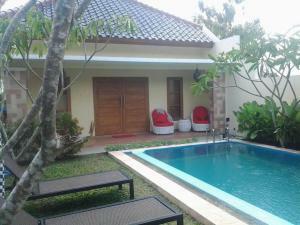 This is a very spacious villa with everything you need, hosted by the amazingly accommodating Meggie. She and her staff made sure it felt like we were guests in a home rather than just another hotel: personalised meals, personal driver, laundries done, plentiful refreshments and prompt response to requests. We were travelling with 4 young kids between us and they were kept entertained by the resident cats and of course the pool! We were especially grateful for Meggie extending checkout time to coincide with our flights. Highly recommend this place for anyone visiting Jogja. Thanks, Villa Rosseno! Lovely host and hospitality. The car and driver was super convenient and the meals were simple and delicious . It is surrounded by paddy fields but not easily viewed from your room . The bed had squeaky sound when turning. Despite that we still had comfortable sleep. The houseflies can be annoying. However the Villa did their best to keep the flies away. The all inclusive made it exclusive. Owner Meggie is very friendly and accomodating when we suddenly invited our friend to stay with extra food provided. Driver Arif speaks good English and drove us far to meet our friend in another town. One of the toilets' flushing system of our villa needs a good repair to make one's stay more enjoyable. The cosiness of the villa, the warm services by the staff, excellent driving by very sincere driver Rosty and overall supervision of owner Meggie had made our short stay very enjoyable! No long check in, just be welcomed and go in the villa. I loved that. Beautifull and clean villa with pool. Good working airco's. All was there like shampoo, toothbrushes, slippers, towels, coffee and tea, softdrinks, bathrobes, everything. The best wifi what I needed for my work. The food was lovely and much. No insects coz of the lovely cats. The driver with car is really available the whole day.